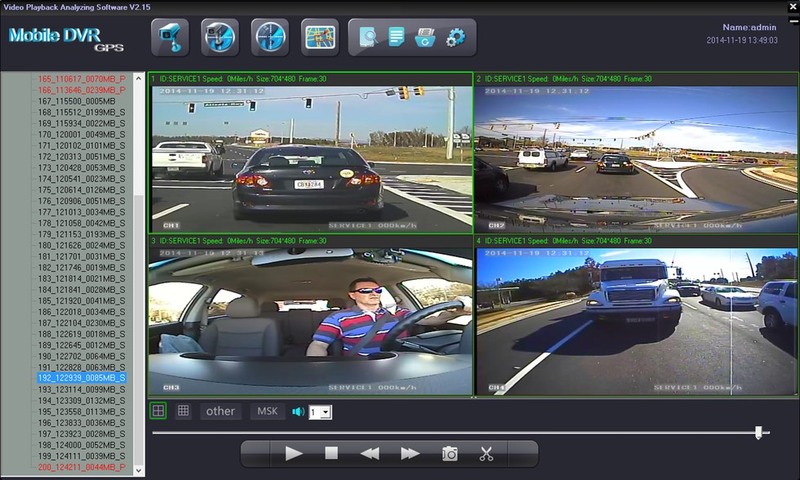 The SD4HD Driver safety & passenger security vehicle camera system is a video event recorder that can be incorporated as a low cost active driver training device that can help reduce dangerous driving behaviors, reduce fleet driver risk from those dangerous driving behaviors and actively remind the drivers to abide management safe driving parameters like maximum speeds, reduction of hard turns and rapid acceleration or breaking. 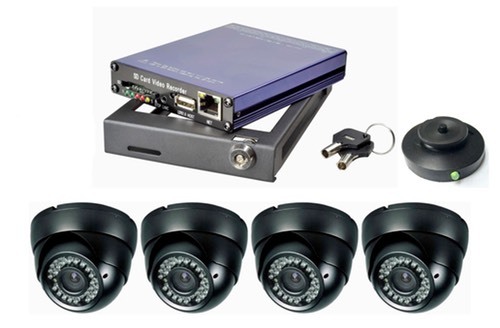 In-vehicle or onboard mobile surveillance systems for vehicle applications are incorporated to provide verifiable video documentation in the areas of Driver Safety and Transit Passenger Security in case of incident or event. 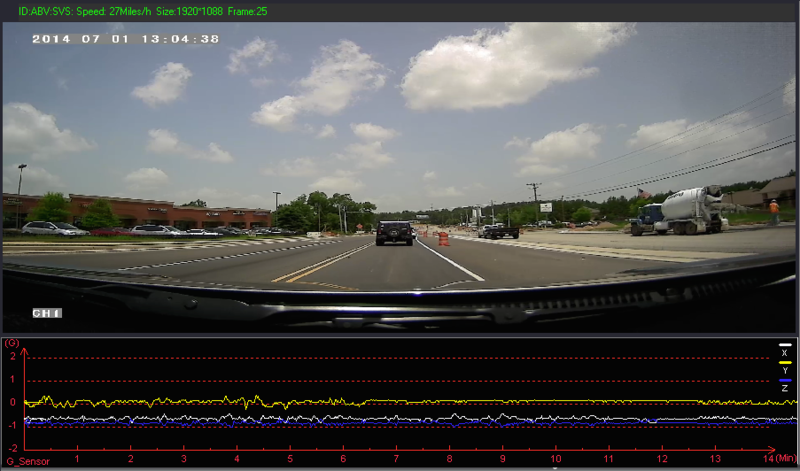 Driver Behavior recording aspects of the 3-Axis accelerometer, combined with the active driver alerts provide a powerful tool for management to help insure safe driving is both a goal as well as a documentable reality. 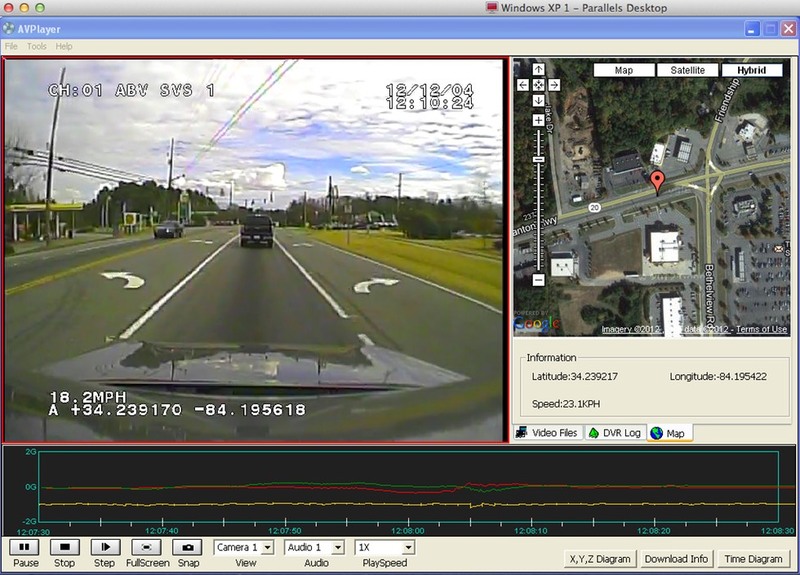 Problems relating to driver behaviors, driver interactions with passengers, passenger actions or interactions can be documented in a sequential video event digital witness record to dispute false claims of verify reported or suspected problems. 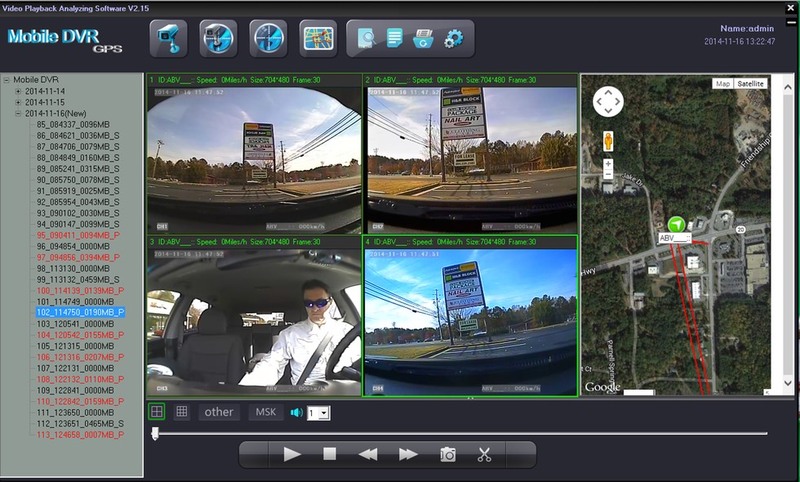 The SD4HW version of the mobile video recorder offers Built in GPS providing; vehicle speed and free On Screen Mapping during playback. In addition the SD4W has a built in Wi-Fi Wireless module with external Wi-Fi antenna for increased range, as well as Automated Data File Download CMS software included with the system at no cost. The SD4HW High Definition 720P-AHD Driver Safety series offers a low cost active driver training device that can help reduce dangerous driving behaviors reduce fleet driver risk from those dangerous driving behaviors and actively remind the drivers to abide management safe driving parameters like maximum speeds, reduction of hard turns and rapid acceleration or breaking. 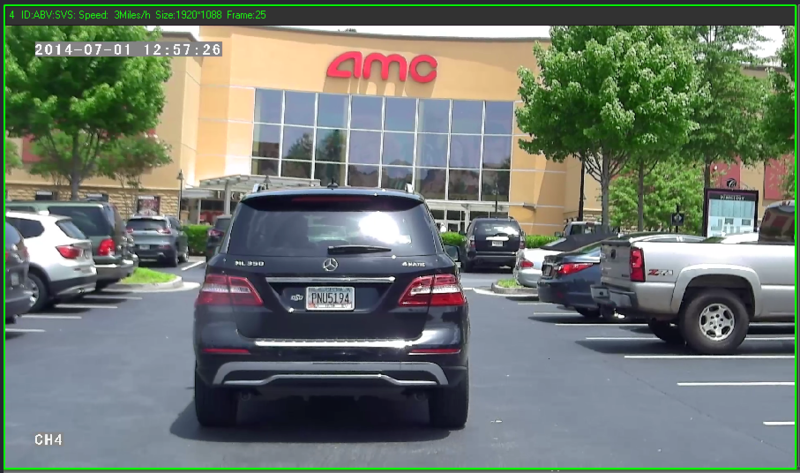 Driver Behavior recording aspects of the 3-Axis accelerometer, combined with the active driver alerts provide a powerful tool for management to help insure safe driving is both a goal as well as a documentable reality. 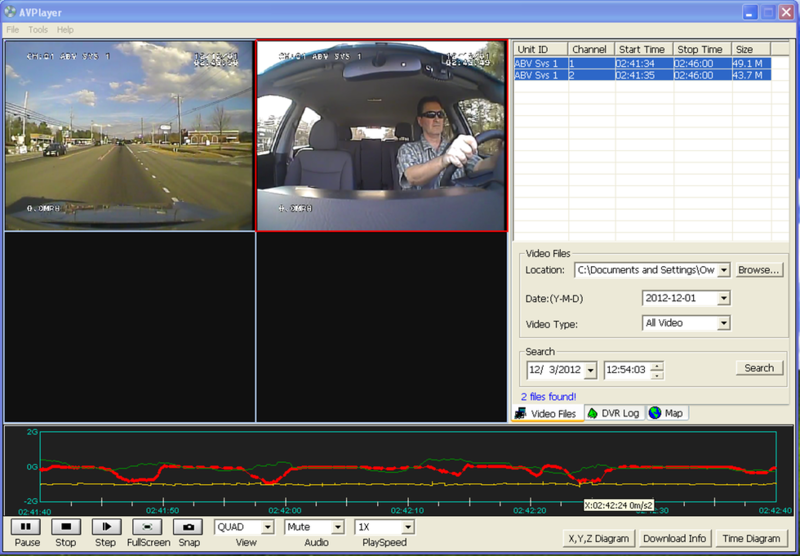 Problems relating to driver behaviors, driver interactions with passengers, passenger actions or interactions can be documented in a sequential video event digital witness record to dispute false claims of verify reported or suspected problems. Wide chart deflections can indicate dangerous driving behaviors that may indicate a need for additional fleet driver risk management oversight by supervisors or in some cases management intervention in order to prevent those recorded and identified dangerous driving behaviors from creating a potential threat to life and limb, risk of capital investment in assets or liability lawsuits. Distracted fleet drivers often display hard braking as they are often not paying attention to the vehicle in front of them until they are about to hit it, hence the cause for the hard braking. Fleet driver risk management is enhanced when clear indications of dangerous driving behaviors can be identified prior to the accident scene reconstruction when it is already too late. 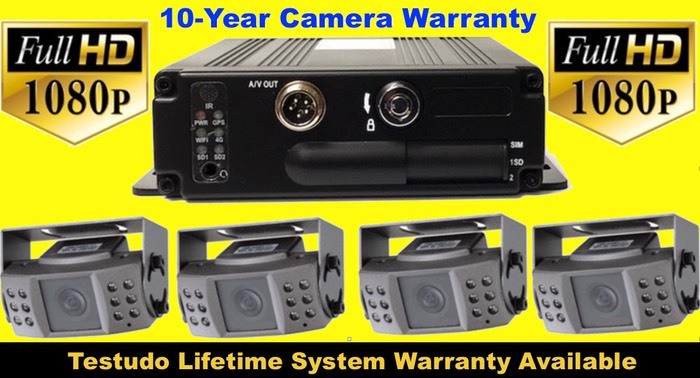 The SD4HC High Definition 720P-AHD Driver safety & passenger security vehicle camera system is a video event recorder that can be incorporated as a low cost active driver training device that can help reduce dangerous driving behaviors, reduce fleet driver risk from those dangerous driving behaviors and actively remind the drivers to abide management safe driving parameters like maximum speeds, reduction of hard turns and rapid acceleration or breaking. 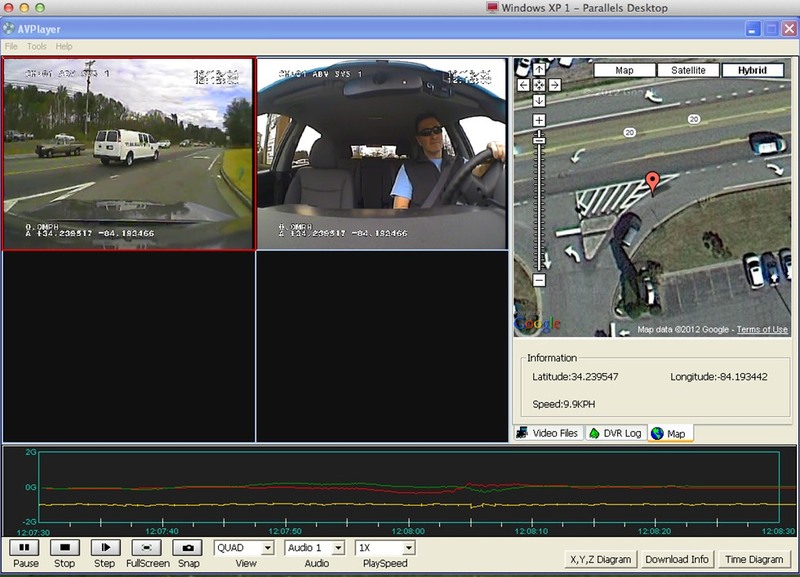 In-vehicle or onboard mobile surveillance systems for vehicle applications are incorporated to provide verifiable video documentation in the areas of Driver Safety and Transit Passenger Security in case of incident or event. The SD4HC Driver Safety series offers an active driver training device that can help reduce dangerous driving behaviors reduce fleet driver risk from those dangerous driving behaviors and actively remind the drivers to abide management safe driving parameters like maximum speeds, reduction of hard turns and rapid acceleration or breaking. Driver Behavior recording aspects of the 3-Axis accelerometer, combined with the active driver alerts provide a powerful tool for management. GPS option for vehicle speed and location, On Screen Mapping via Google provided mapping during playback. Quad view with G sensor & satellite mapping screenshot. The above is a low resolution image to speed up page loading. All actual images are High Definition Full HD 1080p 1920x1080. Sample High Definition images. 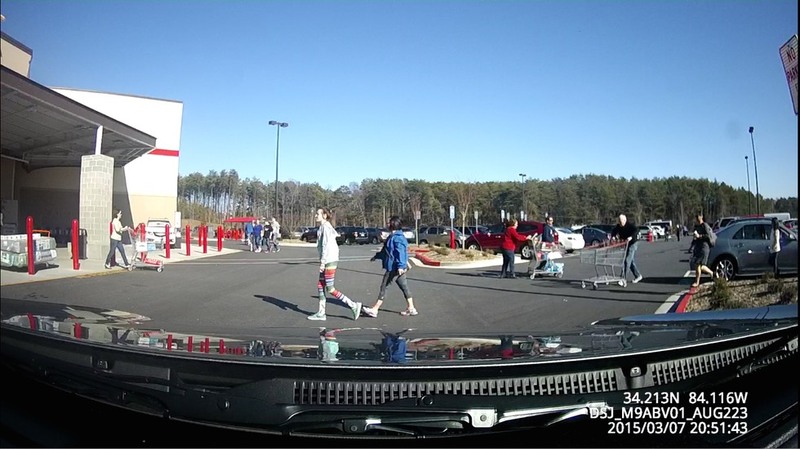 High Definition Stop Arm Camera 12mm 2 Megapixel License Plate Capture from a distance of approximately 30 feet screenshot. The above is a low resolution image. All actual images are High Definition Full HD 1080p 1920x1080. 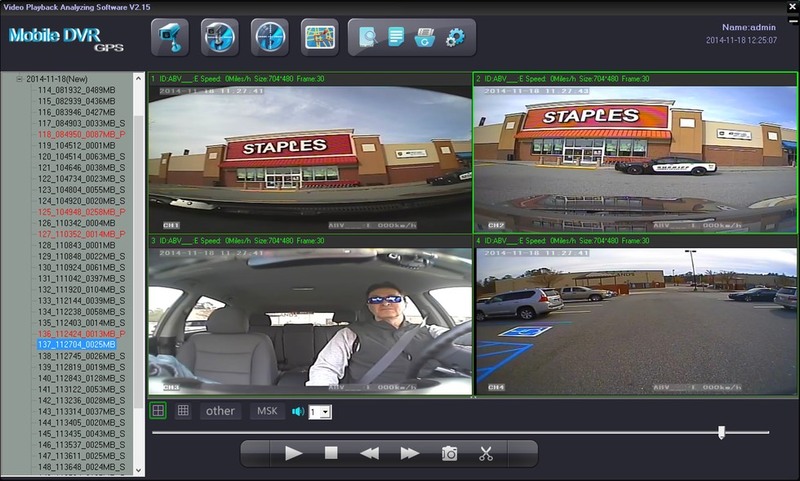 High Definition 2.8mm 2 Megapixel Driver Safety Camera screenshot. The above is a low resolution image. All actual images are High Definition Full HD 1080p 1920x1080. Samples of the High Definition images. 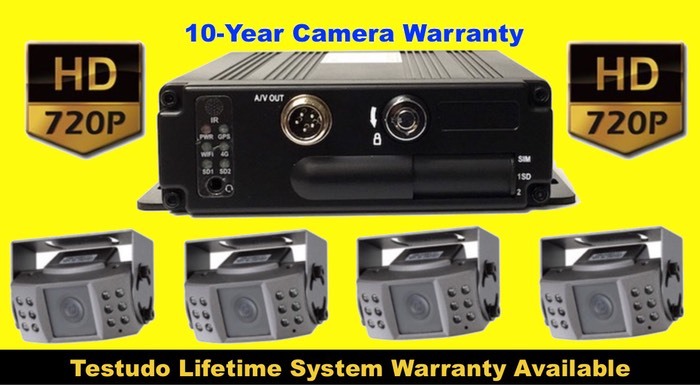 High Definition 2 Megapixel Driver Safety Vehicle Video Surveillance Camera with GPS route tracing screenshot. The above is a low resolution image. All actual images are High Definition Full HD 1080p 1920x1080. Sample High Definition images. 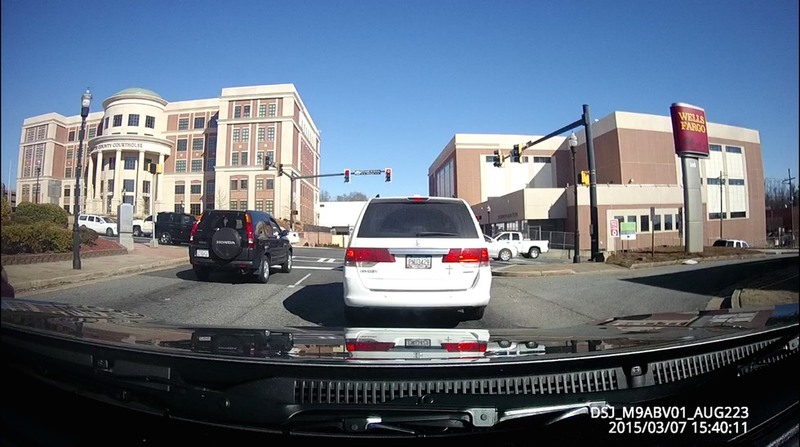 High Definition 12mm 2 Megapixel License Plate Capture Camera from a distance of approximately 30 feet screenshot. The above is a low resolution image. All actual images are High Definition Full HD 1080p 1920x1080. Sample High Definition images. SD4FHW sample Screenshots in Low-Resolution to speed up page loading.Quad view with G sensor & satellite mapping screenshot. The below are low resolution image to speed up page loading. 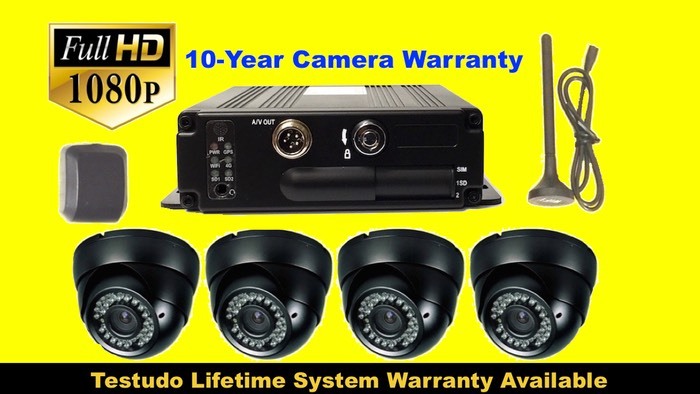 High Definition 2.8mm 2 Megapixel Driver Safety Camera screenshot. The above is a low resolution image. All actual images are High Definition Full HD 1080p 1920x1080. Sample High Definition images. 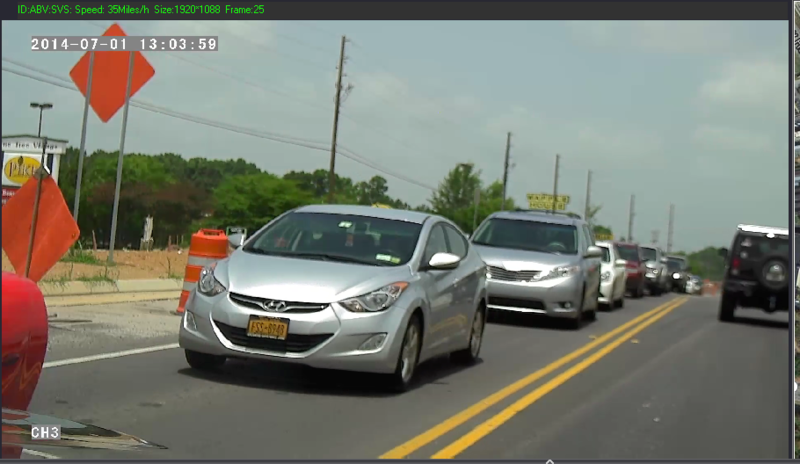 High Definition 2.8mm 2 Megapixel Forward Road Camera screenshot. The above is a low resolution image. SD4FHW sample Screenshots in Low-Resolution to speed up page loading. 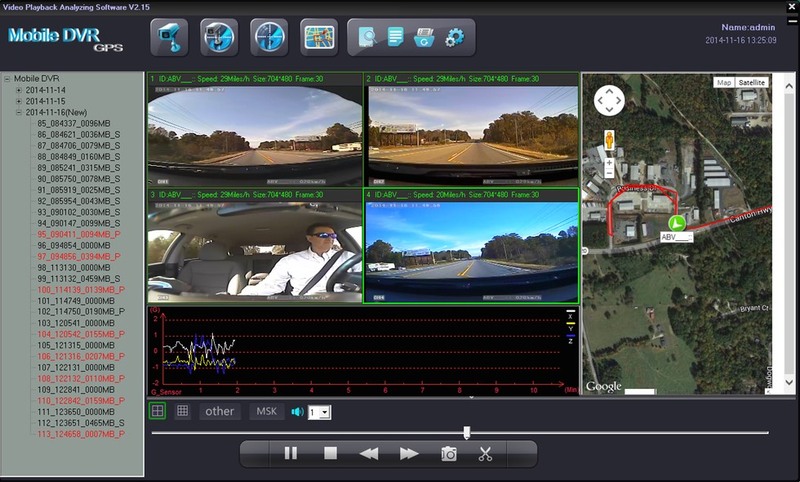 Quad view with G sensor & satellite mapping screenshot. The above is a low-resolution image to speed up page loading. Driver Body Cameras are Police Body Worn Camera technology and features, in some cases the exact same personal body cameras worn by law enforcement officers, and introduces this level of mobile personal worn cameras to the Fleet Driver Risk Management markets, in an effort to reduce risks associated with fleet drivers that are not managed well with in-Vehicle Surveillance Solutions alone. 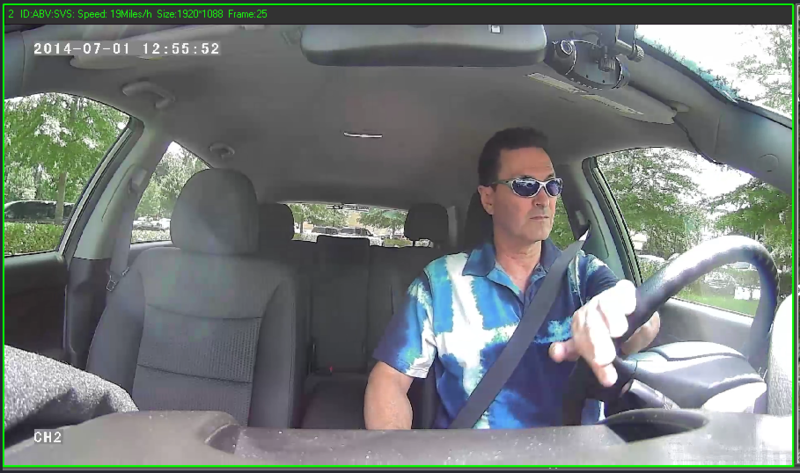 For the first time what a driver sees and how they interact with a passenger or customer in or outside the vehicle can be documented for use as video evidence to reduce risk, validate claims, dismiss wrongful claims made against your company drivers. Protect your School Bus or Fleet Drivers with Driver Body Worn Cameras that can help protect them from personal risk that can damage a drivers reputation, cause loss of work, loss of license or criminal charges. 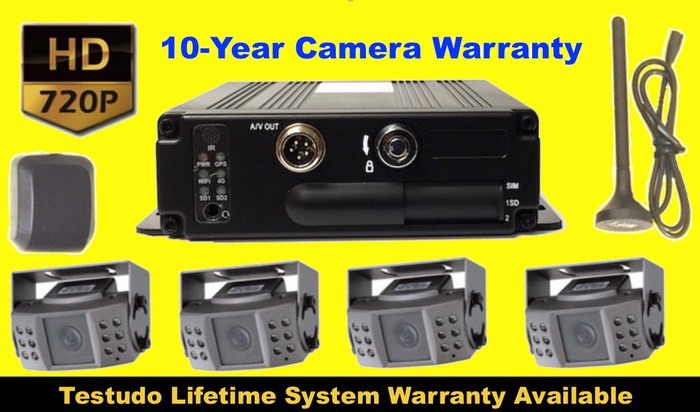 Protect your School District or Company with Driver Body Worn Cameras that can help protect from liability lawsuits and wrongful claims made that can damage School District or company reputation and jeopardize assets from those who will bear false witness and deceive in order to get a fat settlement. 64GB Built in memory storage, 8+ hour record time rechargeable battery life, 140 Degree Field of View, Night Vision IR LEDs, Red Laser designator, Full High Definition Images 1920x1080, 5 Megapixel Images, 2” TFT-LCD High Resolution display, High Technology Ambarella A7L50 Processor chip. Features also include; Built in GPS for: Location, Course, Altitude & Speed, Dash Module for use as a Dash Camera. High Definition Full HD1080p DBC-Pro Driver Body Camera with Gps and Dash mount for use as a dashboard camera, Full Screeen image. definition high enough for license plates and facial recognition. 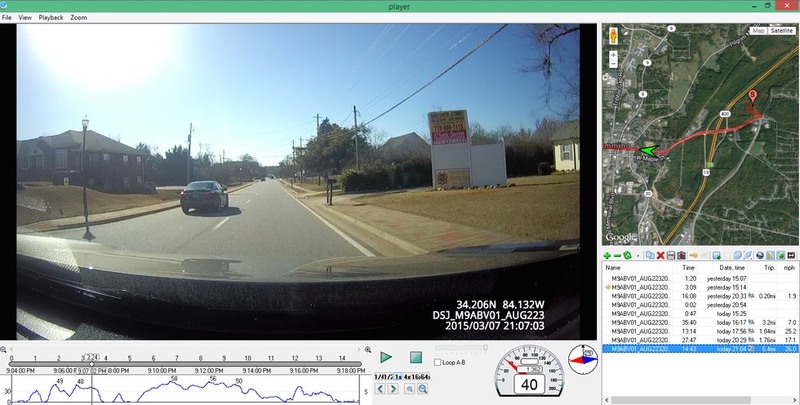 High Definition Full HD1080p DBC-Pro Driver Body Camera with GPS and Dash mount for use as a dashboard camera, Speed charting under image for documenting high speed driving, compare the speed on the GUI, and compare it to the speed limit signs when they pass one. 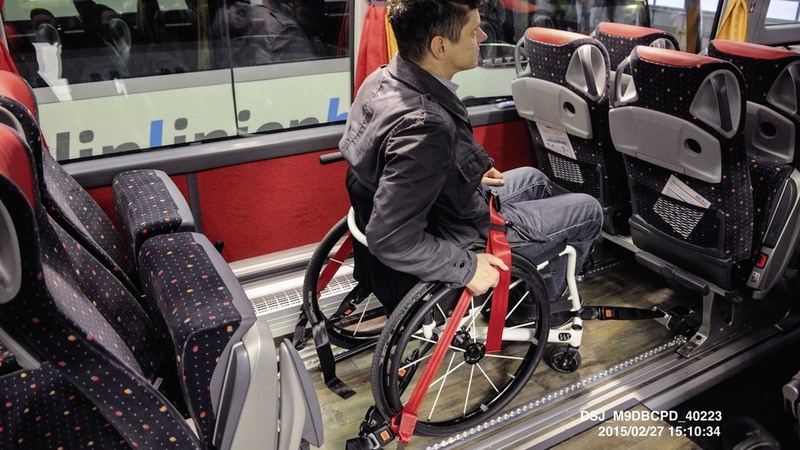 High Definition Full HD1080p DBC-Pro Driver Body Camera when worn by driver in Paratransit application can document the security of the wheel chair straps after driver secures passenger in case of questions as to whether they were secured. 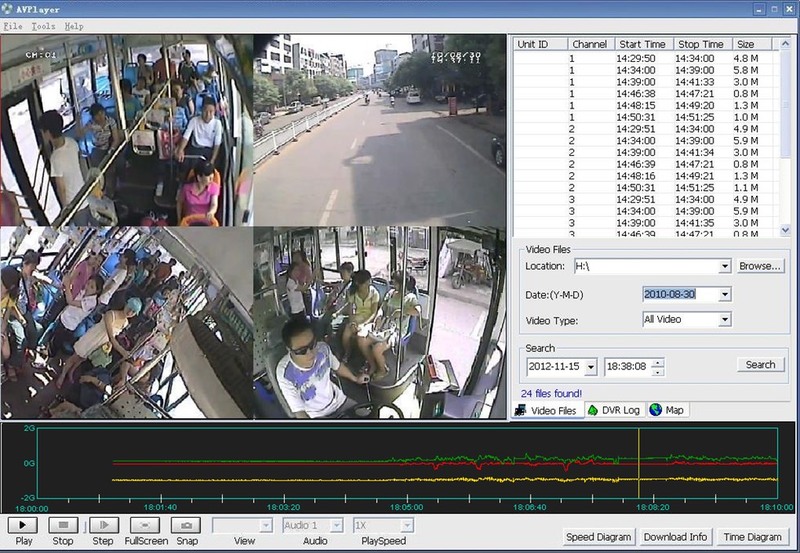 This is something the standard bus video camera system cannot do.